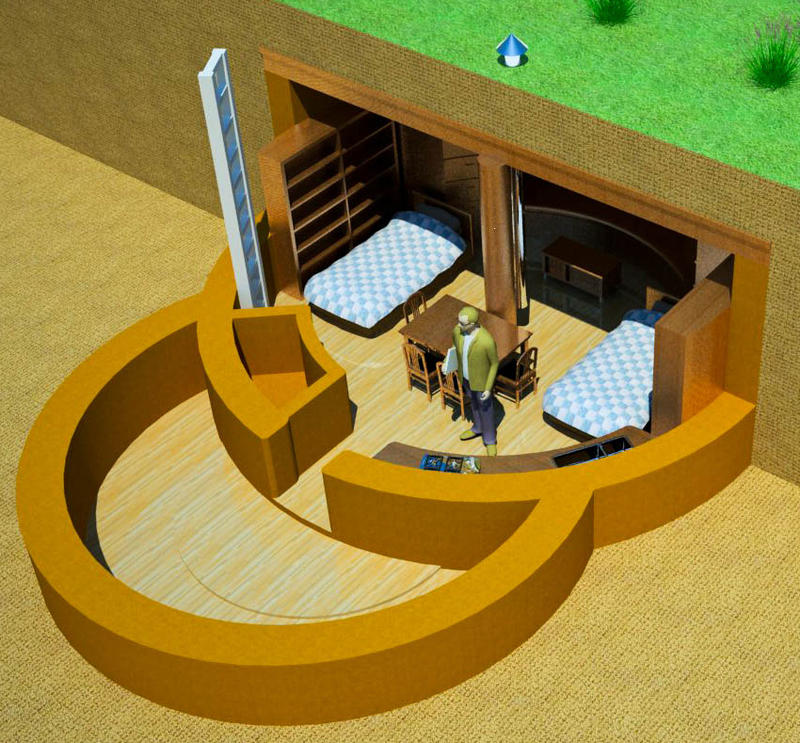 Description: Among other things, this oval earthbag structure can be used as a shop or office. As shown (1/2 floorplan), it is intended for sales of fruit drinks, sandwiches, etc. There is a door at each end and two 4′ pass-through counters to serve customers. 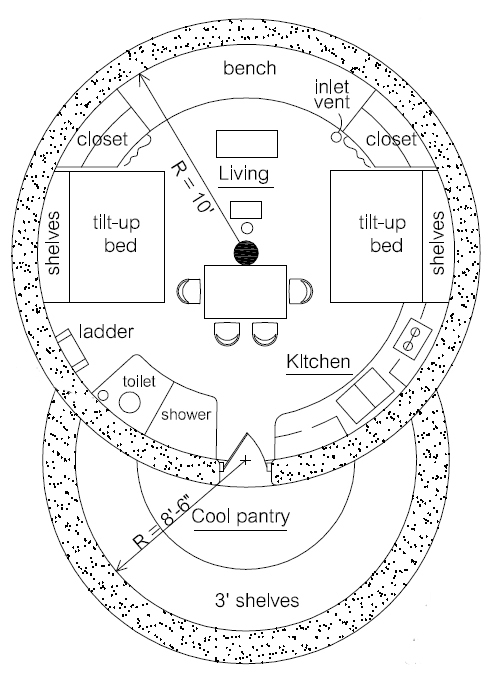 The roof is rounded on the ends like the Polynesian Earthbag House. 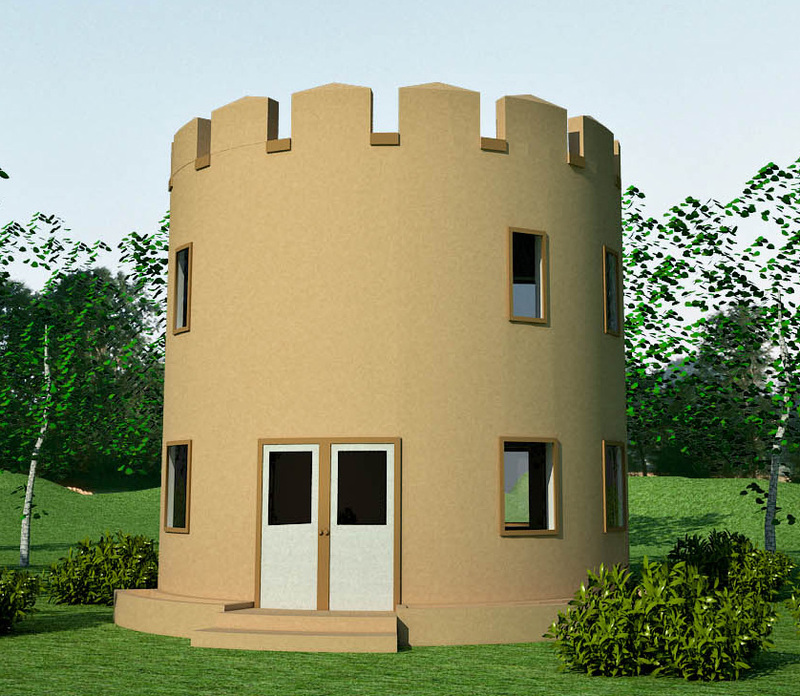 Note: this plan is now listed in the free shelter category.